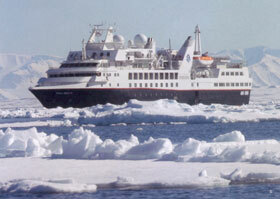 Arrive in Kangerlussuaq and enjoy your first Zodiac ride to the Silver Explorer, waiting at anchor. Located just north of the Arctic Circle, Sisimiut is the northernmost town in Greenland where the port remains free of ice in the winter. Yet it is also the southernmost town where there exists enough snow and ice to drive a dogsled in winter and spring. In Sisimiut, travelling by sledge has been the primary means of winter transportation for centuries. Today we will meet a sledge dog team and their owners, who will tell us all about sledding and how the Greenlandic sledge dog has been bred to be amongst the strongest working dogs in the world. Sisimiut is also renowned for its archaeological sites that date back to the year 1200, the time period of the prehistoric Thule. The staple diet in this region has always included walrus, seal and whale, and this is still true today. At a local restaurant we will have the opportunity to sample a variety of regional specialties as a local guide explains about traditional hunting methods and food preparations. Gather in The Theatre to hear fascinating tales of adventure or to learn about the region’s endemic wildlife and remarkable nature. Our knowledgeable Lecture Staff members are experts in a variety of scientific fields. 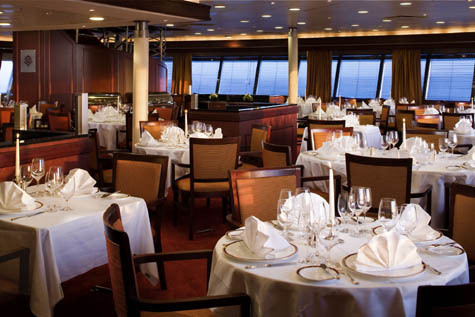 Other onboard diversions include spa treatments, a workout in the Fitness Centre, and, of course, exquisite dining experiences. This afternoon we arrive in Greenland’s first town (1728) and current capital, Nuuk, which means “the heartland”. Our leisurely walk through this picturesque harbour town allows us to take in Nuuk’s natural beauty, and also to see Inuit ruins, Hans Egede’s home, parliament, and the Church of our Saviour. At the Greenlandic National Museum we have the fantastic opportunity to see the famous Qilakitsoq mummies, and will, of course, leave time to visit Father Christmas’ post office with the world’s largest mailbox. Binoculars and camera in hand, head out on deck to watch for seabirds and marine mammals. Attend informative lectures that will prepare you for the upcoming ports-of-call and the adventures that lie ahead. 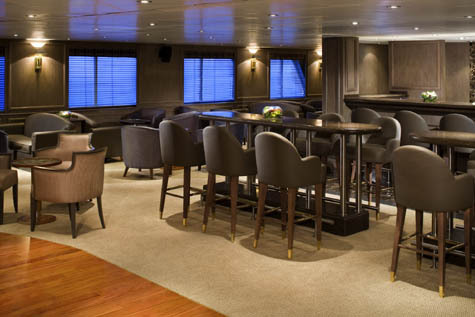 Peruse an array of titles and topics in the well-stocked Library, enjoy a fine cognac at the Connoisseur’s Corner or indulge in any of the other special amenities offered aboard ship. Our first foray into Canada begins in the town of Iqaluit located at the head of Frobisher Bay, an inlet of the North Atlantic extending into southeastern Baffin Island. Iqaluit is the capital of Canada’s newest territory, Nunavut, which is Inuktitut for “our land”. Nunavut is the least populated but largest of all Canada’s provinces and territories, and is filled with culture and charm. After completing formalities associated with customs and immigration, we go ashore and explore the edges of Canada’s, “true north”. Our ship’s experts along with local guides will lead us through the Nunatta Sunakkutaangit Museum and the Nunavut Legislative Assembly Building, both housing incredible collections of Inuit artwork. Before returning to the Silver Explorer we will enjoy a performance of traditional throat singing. 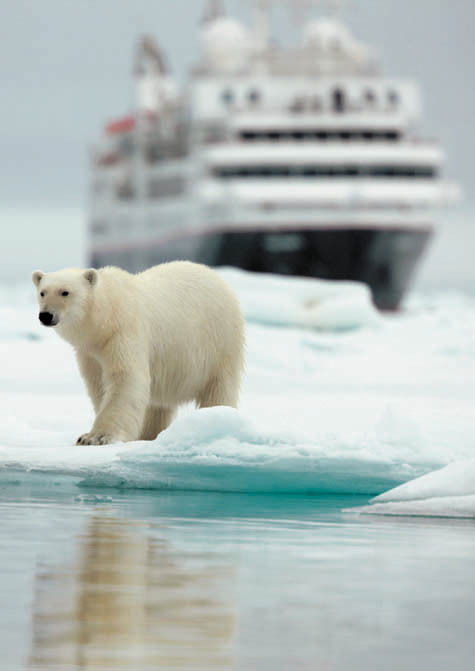 Today the search is on for Ursus Maritimus, the polar bear, which the native Inuit refer to as Nanuk or Nanuuq. The Lower Savage Islands are a small group of islands off of the southeastern tip of Baffin Island, and a common location for polar bears to be found during the summer months. With plenty of land to roam while giving each other a wide berth, plus opportunity for the odd feed, it seems many bears locate here as the ice vanishes with the season’s warming temperatures. Our Zodiacs will allow us to cruise through the narrow channels between the islands to search for wildlife among the unusual rocky formations. As we make our way along Canada’s scenic coast, enjoy some time out on deck keeping an eye out for seabirds, dolphin, seals and migrating humpback, fin and blue whales, or listen to additional presentations by our expert natural history staff in The Theatre or in the comfort of your own accommodation. 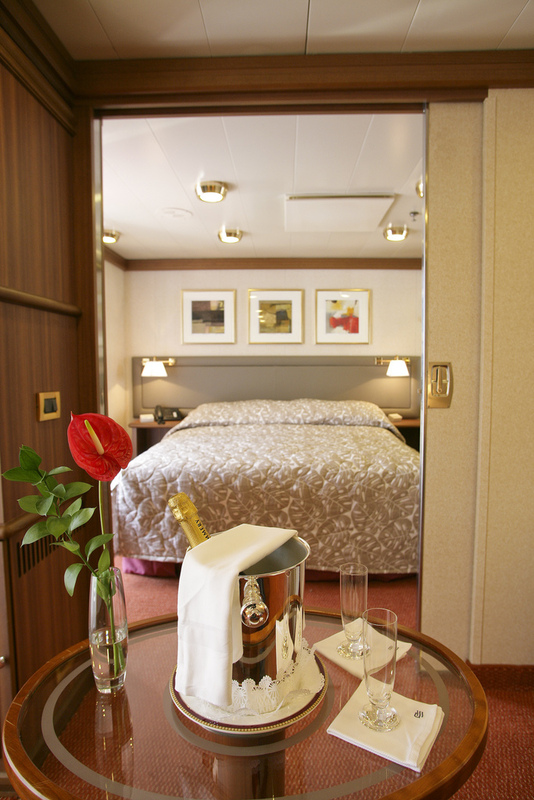 Enjoy a fine cognac at the Connoisseur’s Corner or indulge in any of the other special amenities offered aboard ship. 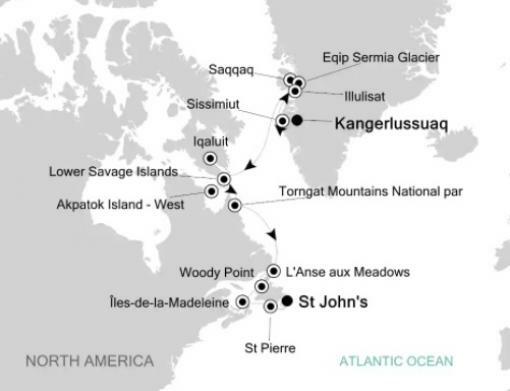 Without a doubt, Cape Dorset is the most famous Inuit art village in the Canadian North. Here we will visit the printmakers and carvers of the region and even have the option to purchase a special piece a souvenir of our visit. Travelling across the bay by Zodiac, we next explore Mallikjuaq Territorial Park where the remains of winter residences from thousands of years ago can be seen. Our local guide will explain in detail the aspects of daily life for his ancestors. An afternoon at sea allows us to make good progress towards our next destination and to catch up on some sleep with a well deserved siesta before another early morning start tomorrow. Opingivik Island, means ªa summering placeª in Inuktitut and, indeed, it is one of the most concentrated archaeological sites in the region, dating back thousands of years. Still used today by local residents for hunting and fishing, we will explore this tiny island in Tuvaaluk Bay as our guides interpret the many rock constructions. Here we can find tent rings, hunting blinds, food caches and graves. This morning we enter the fjord of Douglas Harbour — a stunning site with its sheer cliffs that plummet into the sea. Be out on deck to search for the caribou herd that spends the summer months feeding on the tundra along the coastline. 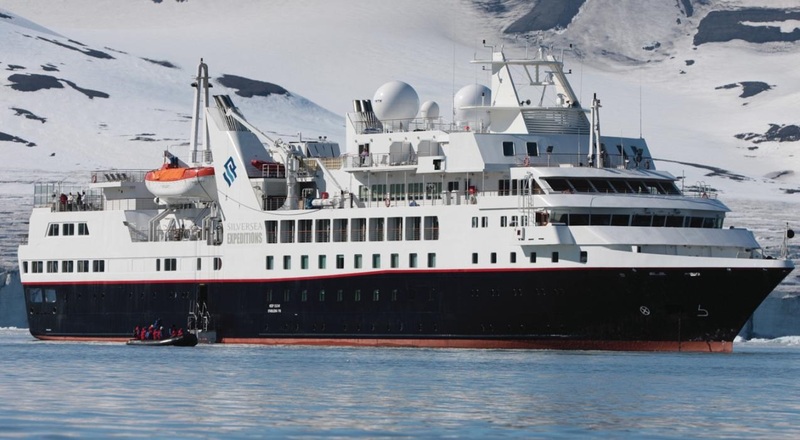 Conditions permitting, we plan to make a Zodiac landing and explore ashore with the Expedition Team. Today we explore around remote Akpatok Island at the northernmost extremity of the Labrador Peninsula. Steep and sheer limestone cliffs jut out of the icy waters. Encased in snow and surrounded with sea ice in the winter months, this uninhabited island lures hordes of wildlife, most notably the world’s largest population of breeding thick-billed murres, (Inukitut name: Akpatok) estimated at well over a million birds. These auks flock to the bare cliffs of the island between June and September, and female murres incubate their single pear-shaped egg on the cliff’s ledges. Glaucous gulls can be seen soaring above looking for unguarded eggs and chicks, while black guillemots paddle around on the nearby sea. Akpatok Island is also a favourite summer home for polar bears as they wait for the winter ice to form. 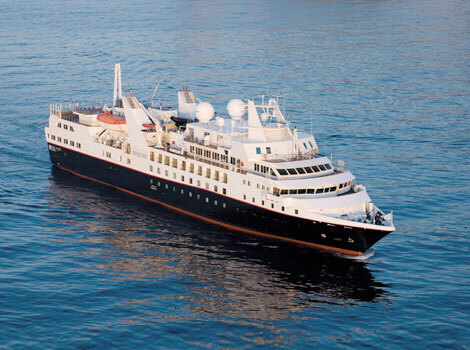 A leisurely day at sea to exchange notes with fellow travellers and take advantage of the luxurious amenities aboard Silver Explorer. Help our birders spot some of the seabirds found far away from their nesting grounds. Enjoy a lecture or an interesting book can be good company too. 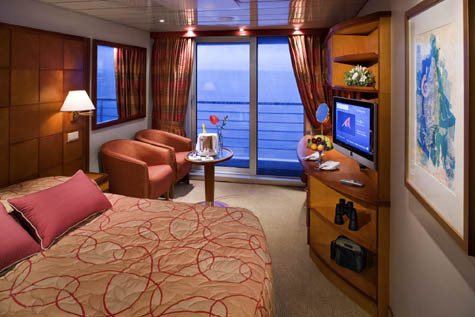 Or just relax in the comfort of your suite and watch a movie on the in-­‐suite interactive television. Step back in time as we meander through the streets of this painstakingly restored fishing village that salutes the Labrador lifestyle of the 18th, 19th and 20th centuries. This National Historic District commemorates the era of whalers, seasonal or floater fishermen, mercantile salt fisheries, and polar explorers. Notable explorers who began treks deep into the Arctic include North Pole discoverers and Americans Robert E. Peary and Matthew Henson along with Inuits, Oatah, Egingwah, Seegloo and Ookeah; and American Frederick Cook. Cook is best known for falsifying evidence pointing to his being the first person to discover the North Pole, one year prior to Peary. It was here in 1909, that Peary wired the announcement, ‘The Pole is ours!’ to a world audience. Battle Harbour is also the site of two press conferences that ignited the controversy between Peary and Cook. Today we catch a re-enactment of one of these press conferences and meet our local guides who will teach us about the Newfoundland and Labrador fishing industry. Before leaving, we savour a Canadian crab fest complete with fresh snow crab, cheese and crackers and accompanied by traditional interpretations of coastal Labradorean music. 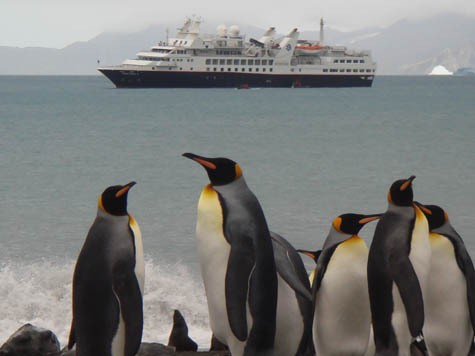 We continue our voyage southward while enjoying lunch aboard Silver Explorer. After midday, we land like ancient Vikings albeit via Zodiac on the shores of L’Anse aux Meadows (Land of Meadows). After a short walk with our local guides, we encounter the ruins of an entire Viking village dating back to the year 1000. Norseman Leif Eriksson, son of Erik the Red, established this colony in the New World some 500 years before the likes of Christopher Columbus and John Cabot. In 1978, this village was designated a UNESCO World Heritage Site. Much of the L’Anse aux Meadows archaeological site remains natural and unspoilt. Three buildings have been reconstructed near the original site in order to provide visitors insight into the lifestyles of these hardy explorers. As an alternative, we will offer a tour that explores St Anthony on the northern tip of Newfoundland. This area was once the staging point for many northern expeditions. Arctic explorers used its sheltered harbour to take on sled dogs and other supplies as the world raced for the North Pole. As we explore the scenic coastal fishing communities, we will watch for moose and icebergs. During our visit to the interpretation centre we will learn of the truly inspirational Dr Wilfred Grenfell, a young English doctor who visited St Anthony in 1892 and founded the Grenfell Mission. Dr Grenfell was renowned for bringing medicine and education to the Inuit and poor European settlers along the harsh Labrador Coast. 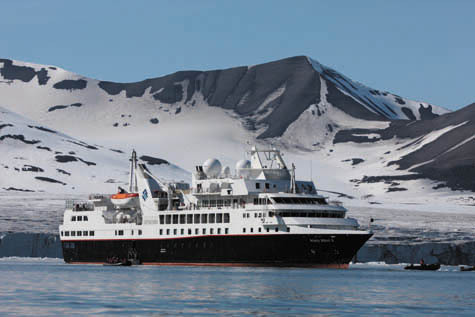 We will also visit his home and view the artefacts gathered from a life of Arctic adventure and global philanthropy. Welcome to the self-proclaimed ‘Iceberg Capital of the World’. Twillingate is one town on two islands with about 3,000 residents and is one of the oldest towns in this part of Newfoundland. We begin our day with our local guides as they take us atop a 114–year-old lookout known as Long Point Lighthouse to view the breath-taking panorama of the bay and coastal cliffs. Next we visit The Prime Berth Museum where our guides explain the town’s history as well as the interworking of Newfoundland’s traditional inshore fishery. Enjoy interactive demonstrations of cod splitting and salting, mending holes in a cod trap, and catching ‘conners’ or local fish.